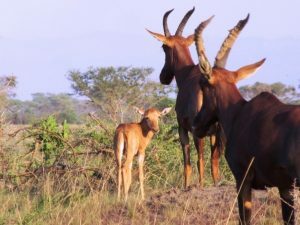 Uganda is the Pearl of Africa – a green and lush country with a stunning range of landscapes from savannah grasslands, plains teeming with wildlife, forests with tree-dwelling lions, huge waterfalls, the source of the mighty Nile River, vast mountain ranges and lush tropical jungle. 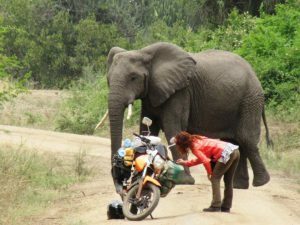 And what a fantastic destination to explore by motorcycle. 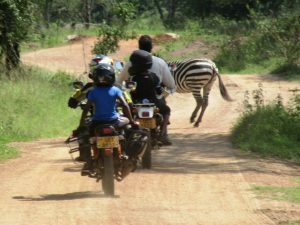 On this 16-day motorcycle tour and safari (Uganda is the only country that allows motorcycles in its National Parks where the wildlife roam), we’ll ride the length of Uganda on an unforgettable adventure. 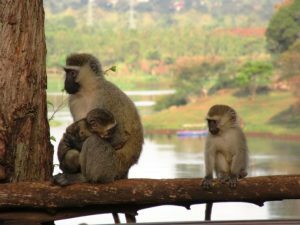 An important part of this tour is our support of the Good Care Ministry and Orphanage Centre in Mityana. This incredible Centre provides a home for nearly 30 orphans and needy children aged from six months to 19 years old. 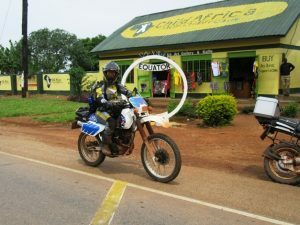 It also runs a school which provides education for the orphans and other children in a rural part of Uganda. We’ll be visiting the orphanage to meet some of the dedicated and inspirational workers who keep these children and of course to meet the children themselves. We’ll also be experiencing life in rural villages. 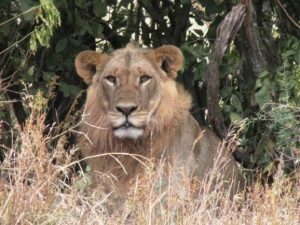 Accommodation will be Africa’s finest and most comfortable hotels, game lodges as well as the opportunity of “glamping” in large comfortable canvas tents giving an unequalled opportunity to get upfront and personal with the wildlife. Enjoy sundowner drinks as the sun sets and another amazing equatorial evening begins. 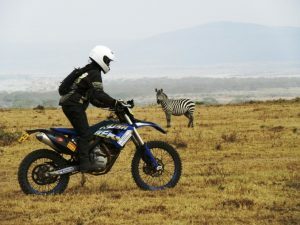 The chance to ride across the Equator between the northern and southern hemisphere. 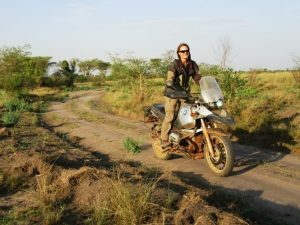 Camping with our bikes next to some of Africa’s largest herds of hippos – once seen (and heard!) never forgotten! 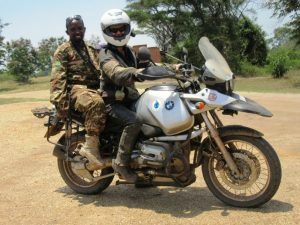 Riding with local rangers to ensure our safety they speak excellent English and are keen to share their knowledge of the wildlife. 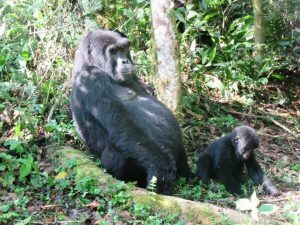 A rare chance to track and see the Mountain Gorillas in the heart of the Bwindi Impenetrable Forest.